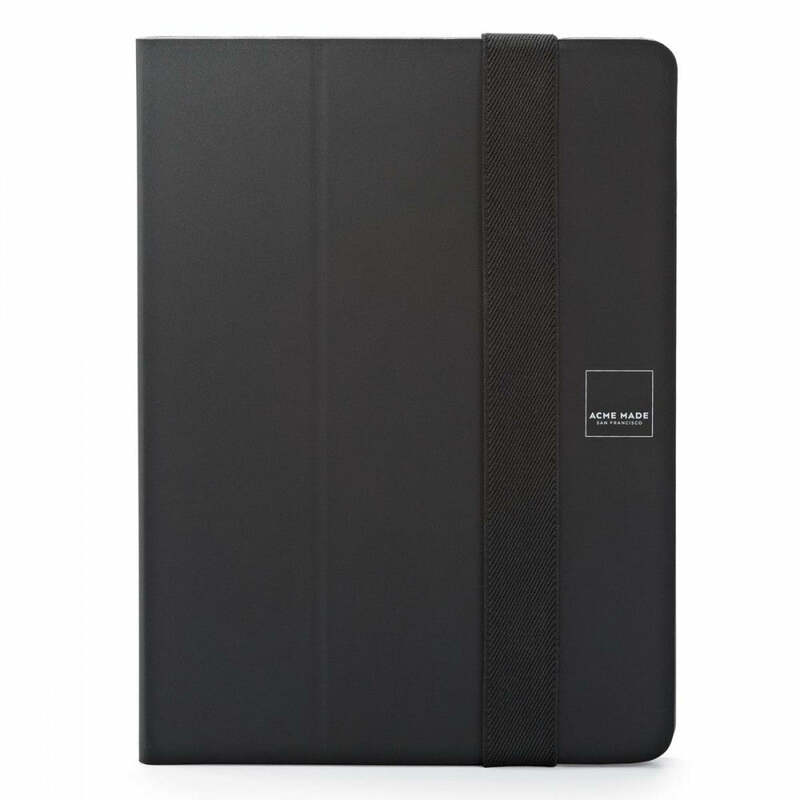 The Acme Made Skinny Book provides your iPad mini with slim, streamlined protection at home, in the office or on the road. Its unique design lets you use your iPad in whichever of three modes you find most comfortable: landscape, portrait or typing. This one multi-use case makes it easy to watch movies and videos, carry on FaceTime and Skype conversations and type in comfort. Custom materials offer a smooth, leather-like touch, while also ensuring stain and water resistance. The subtle built-in stretch band keeps the case closed and secure, and your iPad safe from dust and scratches. Use in landscape, typing and portrait modes without removing your tablet from the protective case. The SatinShell™ cover is made from a custom laminate that resists stains, moisture and abrasion. The stretch band keeps case closed and secure. An engineered polycarbonate frame secures your tablet in place for the ultimate typing and viewing experience. A pop-out stand creates a steady and sturdy platform to use in vertical mode for FaceTime®, Skype or reading news or books. Acme Made Skinny Sleeve MacBook 12"
Acme Made Skinny Sleeve MacBook Air 11"
Acme Made Skinny Sleeve MacBook Air/Retina 13"
Acme Made Skinny Sleeve MacBook Pro 15"